The book covers all transportation modes and their interconnectivity—including highway, air cargo, freight and passenger rail, transit, and maritime. It presents learning objectives and discussion questions to test assimilation of the material and case studies to facilitate a practical understanding of the concepts. Introduction to Transportation Security provides essential information for students in transportation management programs and professionals charged with safeguarding the movement of assets within our interconnected transportation network. Frances L. Edwards, MUP, Ph.D., CEM, is the director of the Master of Public Administration program and professor of political science at San Jose State University. She is deputy director of the National Transportation Security Center of the Mineta Transportation Institute at SJSU, where she is also a research associate and teaches emergency management in the Master of Science in Transportation Management program. Her current research is focused on the continuity of operations process and its relationship to emergency management in transportation organizations, climate change and transportation, and transportation security. Daniel C. Goodrich, MPA, CEM, is a research associate with the Mineta Transportation Institute; an instructor in the Master of Science in Transportation Management program, where he teaches the security for transportation managers course; and a lecturer in the San Jose State University Master of Public Administration program. His current research is focused on the continuity of operations process and its relationship to emergency management in transportation organizations and on transportation security issues, especially related to critical infrastructure protection. 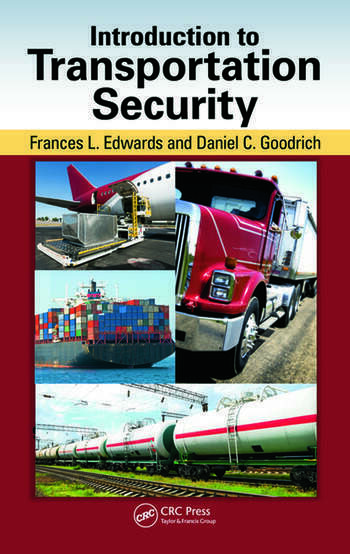 "Dr. Frances Edwards and Mr. Daniel Goodrich’s Introduction to Transportation Security provides comprehensive coverage of multimodal surface transportation security threats and strategies. They also present a detailed history and overview of key federal agencies, their origins, evolvement, purposes and organizational structures. 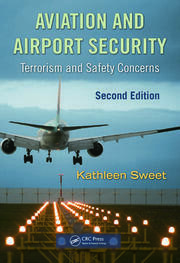 This book is an excellent and much-needed addition to the transportation security student, researcher, or practitioner’s bookshelf." "This is an important read for all managers in need of comprehensive reference materials on Transportation Security for all modes. The learning objectives, case studies, summaries, and discussion questions in each chapter keep you focused. This is an invaluable tool for both the student or seasoned professional." "Individually, Dr. Frances Edwards and Dan Goodrich possess enormous knowledge about transportation security and disaster management protocols. Together, they are a formidable team. Ever since 9/11, Americans have come face-to-face with the disastrous results of an attack on transportation. However, even with ever-tightening security at airports, American transit and other "open" systems remain unacceptably vulnerable, especially to a random "lone wolf" attacker. What are some of the weapons—including chemical and biological—that can be used against transportation systems? What strategies do organized attackers often take? How have these attacks been carried out in other nations? How have they affected the local and national economies? What can be learned from them? In this, their latest book, Edwards and Goodrich deliver their expert insights to a new generation of security professionals who face very different challenges than did those who came before." 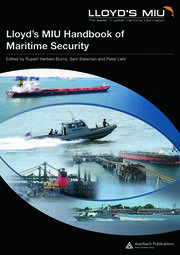 "Introduction to Transportation Security is the best textbook I have read on transportation security because it is the both comprehensive and interesting. It moves from theory to practice across all modes of transportation … and addresses a full spectrum of issues associated with transportation security. Introduction to Transportation Security is highly recommended for all introductory homeland security and transportation security courses, and would be an excellent additional text for many emergency management and security management courses." 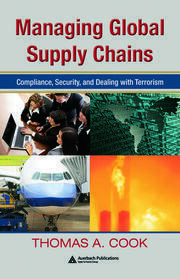 "The authors of this book are clearly experts in the field of transportation security, and their well-organized work will help security professionals as well as students learn about the transportation industry, how it affects the overall economy, and how to protect it."